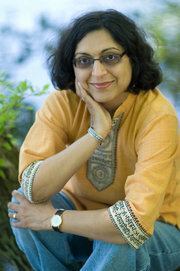 Thrity Umrigar is the best-selling author of the novels Bombay Time, The Space Between Us, If Today Be Sweet, The Weight of Heaven, and most recently The World We Found. She is also the author of the memoir, First Darling of the Morning. Thrity was born in Bombay, India and came to the U.S. when she was 21. As a Parsi child attending a Catholic school in a predominantly Hindu country, sh had the kind of schizophrenic and cosmopolitan childhood that has served her well in her life as a writer. Accused by teachers and parents alike of being a daydreaming, absent-minded child, she grew up lost in the fictional worlds created by Steinbeck, Hemingway, Woolf and Faulkner. She would emerge long enough from these books to create her own fictional and poetic worlds. Encouraged by her practical-minded parents to get an undergraduate degree in business, Thrity survived business school by creating a drama club and writing, directing and acting in plays. Her first short stories, essays and poems were published in national magazines and newspapers in India at age fifteen. While at Harvard, Thrity wrote Bombay Time. The publication and success of the novel allowed her to make a career change and in 2002 she accepted a teaching position at Case Western Reserve University, where she teaches creative writing, journalism and literature. She also does occasional freelance pieces for national publications and has written for the Washington Post's and the Boston Globe's book pages. The Space Between Us was a finalist for the PEN/Beyond Margins award, while her memoir was a finalist for the Society of Midland Authors award. Thrity was recently awarded the Cleveland Arts Prize for midcareer artists. 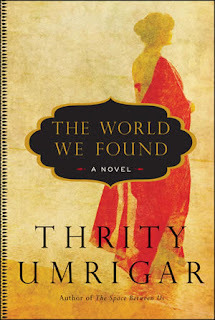 Her latest book The World We Found has gotten some great reviews and is also an Oprah magazine Pick, a Boston Globe Pick of the Week and a BookSense Pick. The Boston Globe calls it "a powerful meditation on friendship, on loss, and all the regrets of middle age, mingled with the recognition that for most of us it's not too late to remake our lives in some way." Suprose thanks Thrity for taking the time to do this Tête-à-Tête. You were a successful journalist, what prompted you to branch out to fiction? I had always written poetry and fiction, years before I became a journalist. In fact, the only reason I became a reporter was that I couldn't conceive of a way to make ends meet by being a creative writer. Even as a journalist, I was drawn to "literary journalism," that is, telling longer, in-depth, human interest stories that tackled complex issues. But after years of doing this, I began to yearn to tell my own stories in my own voice and words. Thus, I decided to tackle my first novel, Bombay Time. Where did the Nieman Fellowship fit into the timeline? Were you already writing fiction when you accepted it? In the mid-1990s, I was working full time, working on a Ph.D. in English part time, and trying to write my first novel somewhere in the midst of this. It soon became apparent that I had to set the novel aside if I was to finish my dissertation. But once I received my Ph.D., I was restless to tackle the novel again. So I applied for the Nieman Fellowship to Harvard, hoping that this would give me some free time. I received the Nieman in 1999 and immediately started working on the novel. I would wake up early in the morning, write for several hours and then start my day as a Nieman fellow. By the time the ten-month fellowship ended, I had written the novel and received a publishing contract. Can you describe your transition from Journalism to fiction writing? What were the challenges you faced moving from factual to creative writing? To be perfectly honest, switching to fiction writing was a joy. It was utterly liberating. 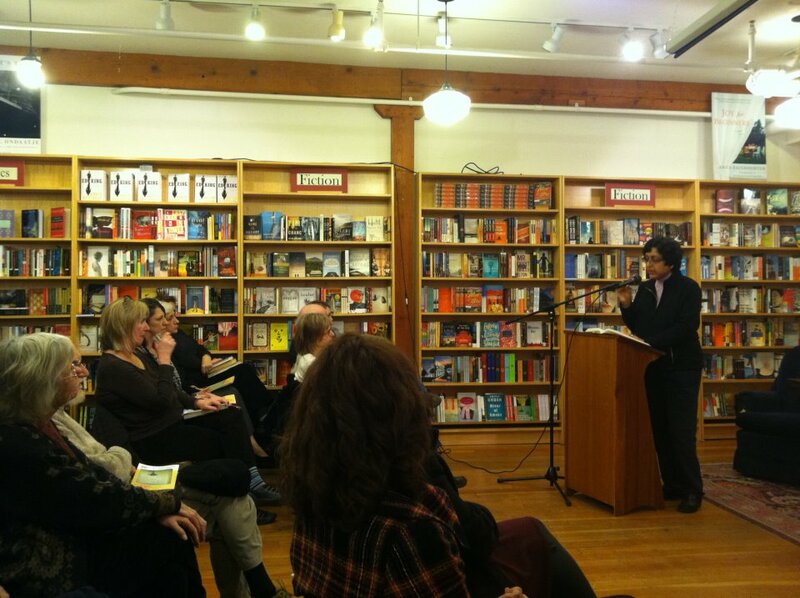 To be able to write in my own voice, using my own words and thoughts and beliefs, was fantastic. Also, I think fiction enables a writer to come closer to describing the truth. Journalism, by definition, constraints you by forcing the journalist to stick to known facts. This can sometimes result in reductive, simplistic stories. But fiction lets you explore unknown worlds—people’s psyches, their inner thoughts, their dualities, their contradictions. I just find it richer grounds to explore. Who and what do you read for pleasure? Oh, gosh. The list is so long. I love Ian McEwan, Toni Morrison, Virginia Woolf, Luis Alberto Urrea, Jonathan Safran Foer, Kiran Desai. If we examined your stack of "to read" books what would we find? Who are some South Asian authors who inspire you and why? I love Rushdie, Kiran Desai, Jhumpa Lahiri, Amitav Ghosh. They all have different writing styles and preoccupations and ambitions. But I love them all because they all write beautifully and they are serious in their ambitions—that is, their writing is meaningful because it stands for something, it represents something. What do you think are some challenges faced by South Asian writers? Frankly, this is a great time to be a South Asian writer because there are so many opportunities and we’ve been represented by such great writers who have earned their place in the literary pantheon. But the greatest challenge is that even today, many publishing houses feel satisfied if they have one or two South Asian writers. There is still an informal “quota” system and it’s difficult for new writers to crack that. Describe the room/space where you do most of your writing. My study. It’s a good-sized room with two desks. My computer overlooks my back yard and I look out onto squirrels chasing each other and birds drinking from the bird water pond. And of course, I see the sky. I don’t think I could write without looking at the sky. Sometimes, I hear my neighbor whistling to himself as he gets into this car. What are some devices / prompts that you use to overcome writers block? I’m working on another novel. It’s titled I Begins. It tells the story of the friendship between two women—an immigrant woman whose husband owns an ethnic grocery store and her African-American therapist. It’s an examination of how the power balance in friendships alters over time. This is fascinating! I look forward to winning and reading her book, I wanted to know more about her..why did she not have writer's block? What was it like winning the Neiman? Perhaps not the most critical of the questions: why is her name Thirty? I have read her earlier fiction and like her style of story telling. It is inspiring and captivating and keeps you engaged. Her appreciation of other South Asian writers is very good. Thanks for this interview with Thrity wonder what that word means. I am looking forward to reading this book! -- will put it on hold at the library! As someone who enjoys reading and writing, it is so nice to get this kind of information on an author. I have been meaning to read her books and this interview encourages me to check out her books. Thank You! I am looking forward to reading this book. I would also like to thank this blog for making people aware of the intellectual minds of our community. 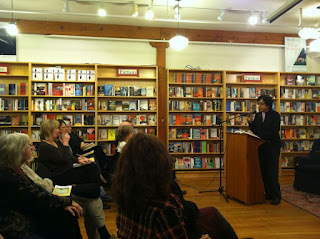 I read Thrity Umrigar's "The Space between us" and thoroughly enjoyed it. The characters in that novel were so richly developed that I was completely absorbed in their world, feeling their joy, or pain and sorrow. This is story-telling at its best. Great interview. Am definitely going to read the book. The Boston Globe description of the book has peeked my interest in the book, would love to read it. I have heard of the author but not read her books, this interview definitely makes me want to. The winners for this month are Laj, Kris and Pavithra. You will be getting emails from Suprose shortly with further details. Thanks all for participating, and please do not forget to look for our April giveaway.